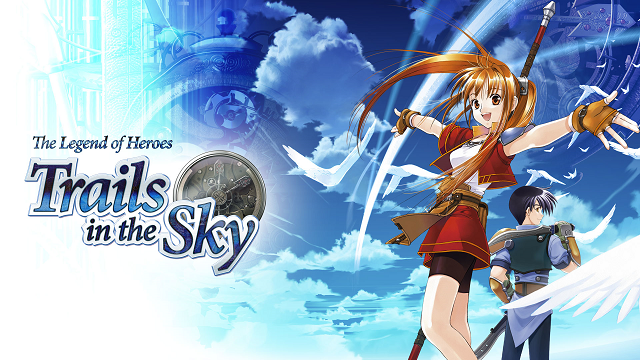 We’re excited to confirm that the RPG title The Legend of Heroes: Trails in The Sky is now available in English on Windows PC for the first time. It is available for download from GamersGate.com, GOG.com, and Steam at the retail price of $19.99 in the US (international pricing may vary), but fans who purchase the game during its first week will receive a 15% discount. In addition, Steam Keys are also now available for purchase from GamersGate.com. Fans will be thrilled with the evolution of The Legend of Heroes: Trails in The Sky since its original release on the PSP® (PlayStation®Portable) system – PC exclusive features include HD resolutions, significantly faster load times and customizable controls. Additionally, enhancements back-ported from the PSP®system release include New Game +, English battle voices, selectable difficulty levels after the initial playthrough and – available shortly after launch – a Monster Encyclopedia to learn more about the enemies you’ve fought. The Legend of Heroes: Trails in The Sky is the first chapter in an ongoing epic fantasy RPG series. It opens in the quaint and peaceful town of Rolent in the Liberl Kingdom, home to a peacekeeping coalition free of government ties known as the Bracer Guild. The adventure follows two young aspiring bracers named Estelle and Joshua on their trials to become full-fledged members of this elite organization. Their journey will take them across the entire country, unraveling a sinister government conspiracy along the way that’s poised to overtake the throne, threatening the very peace the bracers seek to uphold. Throughout their adventure, players can expect to learn the full depths of these characters’ origins and motivations through dialogue-driven cutscenes and lengthy side-quests. Combined with The Legend of Heroes: Trails in the Sky Second Chapter, which is currently slated for release this winter, this legendary fantasy epic boasts over a hundred hours of gameplay. The engaging narrative encompasses everything from politics, economics and conspiracies to tourism, traditions and even a cat-speech dictionary. The series also features a meticulously customizable combat system, a massive cast of characters from all walks of life, a variety of landscapes, an in-game newspaper that publishes new issues as the story progresses and much more. Additional information about can be found at: http://trailsinthesky.com/.